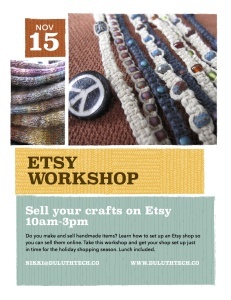 Etsy Workshop: Learn how to sell your handmade crafts on Etsy! I am excited to offer the Etsy Workshop for artists, crafters, and makers who want to sell their goods online using Etsy. I have five years of experience selling on Etsy, and have tried my hand at selling handmade jewelry, handknit accessories, and crafting supplies. Starting an Etsy shop can be daunting when you’re starting from scratch, and I’d like to help more people get going. Maybe you already sell at craft shows and you want to reach a wider audience. 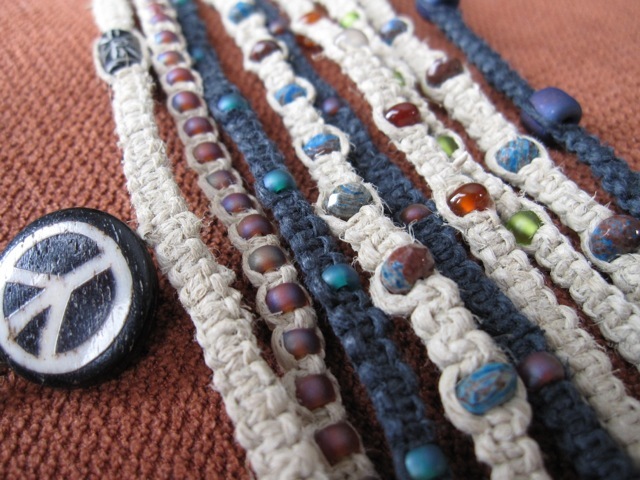 Or maybe you’ve always wanted to sell your handcrafted items, but want to start small to try it out. Etsy offers a great online storefront at a low cost, with a built-in audience who are already on the site searching for quality handmade goods. Selling on Etsy is a fun way to subsidize your hobby or grow a small business doing what you love. In this workshop, I’ll walk you through opening an Etsy account, setting up your shop, and listing an item. We’ll also cover general knowledge that you need to operate your Etsy shop once you’ve got it set up. Sign Up for the Etsy Workshop! The workshop runs from 10am-3pm on Saturday, November 15th. There will be a break in the middle for lunch, which is included in the price of the workshop. You will work on your shop setup at the workshop, so bring your laptop computer if you have one, and if you don’t have one, we will have a computer for you to use. Also bring a point and shoot camera (even a phone camera will do) and an item or two that you would like to list for sale in your shop. To sign up, contact Nikki Bollman at Duluth Technology Company. By email at nikki@duluthtech.co or by phone at 218-626-7421. You can also come into our office at 12 E Superior St, Suite 6 and register in person. You must pay for the workshop before you are considered registered. We accept cash and checks in person, and credit cards through Square or Paypal.